This week’s book review is a book we got out of the library and now have to buy for our son as he fell instantly in love with it. Don’t forget to click here for Daniel’s own opinion! The writing is fabulous, rhythmical and musical in rhyming couplets that never jar or feel forced. There are a couple of refrains that are repeated throughout so very young children like my two year old join in before they’ve even finished the book once. I think this has a lot to do with why he took to it so quickly, and demanded it to be read again as soon as I’d finished. Actually, when I think about it, I don’t think he has let either my husband or myself read it only once since we took it out of the library! Story-wise, the book has a lovely pace and momentum, building up to a tense climax that had both Daniel and his Daddy on the edge of their seats. If anyone is worried, though, there is a happy ending! 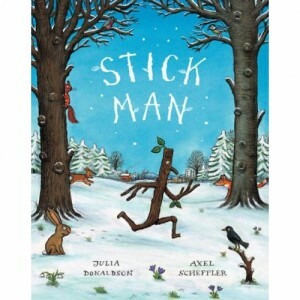 For the sake of balance, here are my only reservations about a fantastic picture book, and they are all minor niggles. Firstly, to get the most out of the book, I would recommend it for children not much younger than two or even two and a half. Younger children will enjoy the sounds but the story is quite long and may not hold their attention all the way through. On the other hand, older children will discover more and more nuances to the story as they mature and enjoy it even more. Secondly, Santa makes an appearance so depending on how strict you are about keeping Christmas things to Christmas time you might prefer to keep the book as a seasonal treat, but this really is a tiny issue. I think my biggest problem is with one of the rhymes, which doesn’t actually work with my northern English accent – scarf and laugh are put together which is fine except if you say, as we do, “scarf” and “laff”. But this is the only instance in the whole book of the rhyme not quite working, which is quite an achievement in a book of this length! We will be buying a copy as soon as we return this to the library, as I’m fairly sure Daniel would be heartbroken if he couldn’t read it any more. If you fancy giving it a go, here‘s the Amazon UK link. Remember, don’t just listen to me. 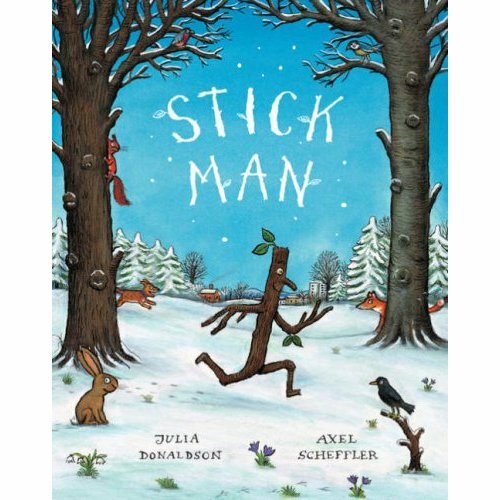 Click here to get Daniel’s opinion of Stick Man.